Requirements: Bear and the Jackal is not a complete game. 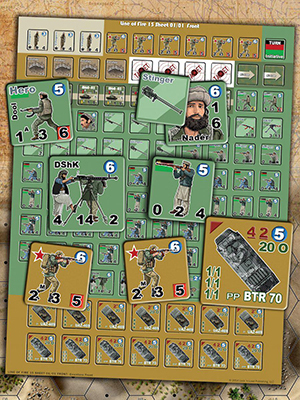 You must own Lock ´n Load Tactical: Heroes Against the Red Star or Heroes of the Gap to play this game. This game contains some previously released material from Line of Fire Issue #15. 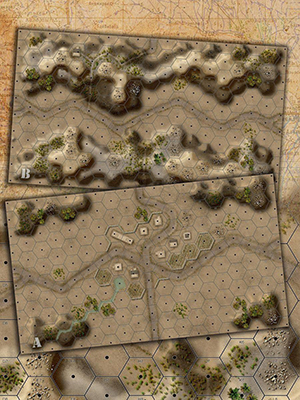 -Two Color Geomorphic 9.5" x 16.5" Maps. -One Counter Sheet with over 100+ counters. -One Color Game Module rules, Examples of play. -One 8 x 11 Player Aid Cards.